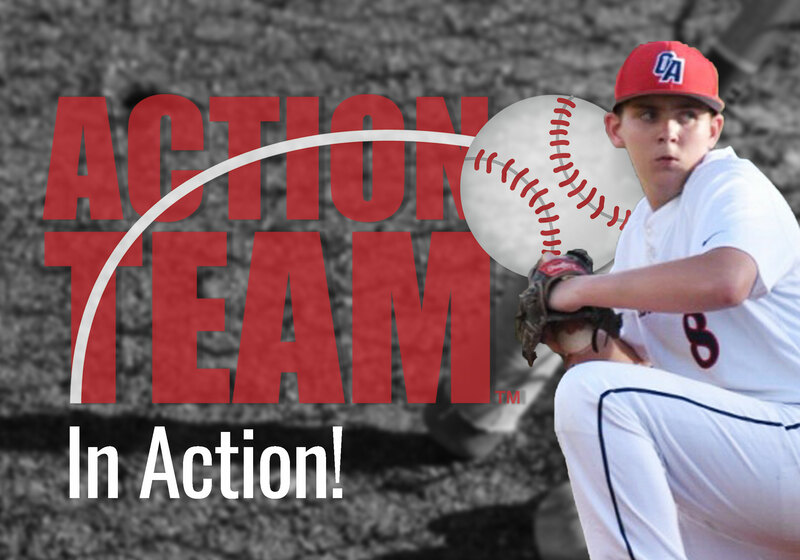 This Action Team Ambassador combines passions for baseball and helping others. Action Team Ambassador Juan Salinas-Bentley didn’t derive nearly as much satisfaction from his baseball team’s 19-1 win over neighboring Palm Beach Lakes in February as he did from raising funds to help the financially stressed school pay the $1,485 for umpires it needed to complete this season. 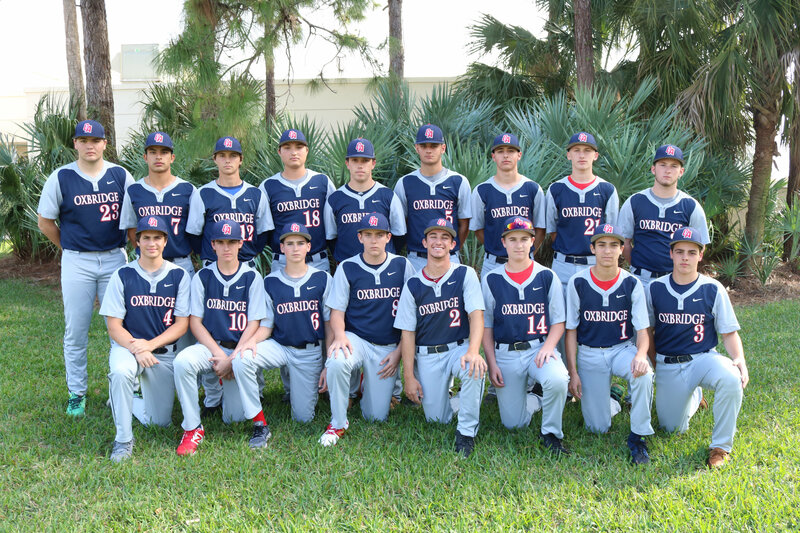 The high school sophomore at Oxbridge Academy of the Palm Beaches is a solid right-handed pitcher who loves baseball, but he’s even more passionate about his fundraising efforts aimed at helping less financially fortunate kids who share his passion for the game. “Juan is fantastic,” said Powell, the first-year head coach at Palm Beach Lakes whose “typical inner-city” school team is now playing its remaining games of the season. Salinas-Bentley’s efforts go back several years, in fact, to when as a seventh grader his team played against a financially strapped middle school team. That’s what sparked the idea for Salinas-Bentley to launch GAME DAY Fundraising, his charitable organization, and later to join the Action Team, the Major League Baseball Players Trust’s and Volunteers of America’s nationwide network of high school volunteers. They presented opportunities for him to combine his passions for baseball and helping the less fortunate. Salinas-Bentley joined the Action Team as an individual member, or “ambassador,” in 2015 after seeing the Players Trust’s public service announcement on television during Major League Baseball’s Home Run Derby in Cincinnati that year. After three years, Salinas-Bentley has led efforts to outfit three different schools with uniforms and equipment and, most recently, gone back to raise additional money so the Palm Beach Lakes school could pay the $135 per game it needed to pay its share to an umpiring crew. The recipients of GAME DAY’s largesse were easier to identify when Salinas-Bentley went to public school. Salinas-Bentley saw them first-hand and worked closely with the school district. So Salinas-Bentley put on his fundraising cap and got back to work. He’s got it down pretty well at this point and a family friend in the real estate industry, Beau Van Metre, lends a big hand by matching the dollar amount he raises on every project, turning each of the $5,000 efforts into $10,000 gifts that can provide a full array of uniforms and equipment. “Palm Beach Lakes was our first high school and we were able to supply them with everything they needed in terms of uniforms and hats and equipment,” Salinas-Bentley said. Unfortunately, as it turned out, that wasn’t going to be enough to keep the baseball program going at the school down the road. Around mid-season, Powell informed Salinas-Bentley that Palm Beach Lakes didn’t have enough to cover paying umpires and the school’s athletic department was considering canceling the remainder of its games. But Salinas-Bentley, who had already raised close to $20,000 for baseball programs since beginning his fundraising activities back in 2015, wasn’t going to let $1,500 keep Palm Beach Lakes from playing out its season. E-mails went out to teammates and parents. Calls were made. Checks came in. 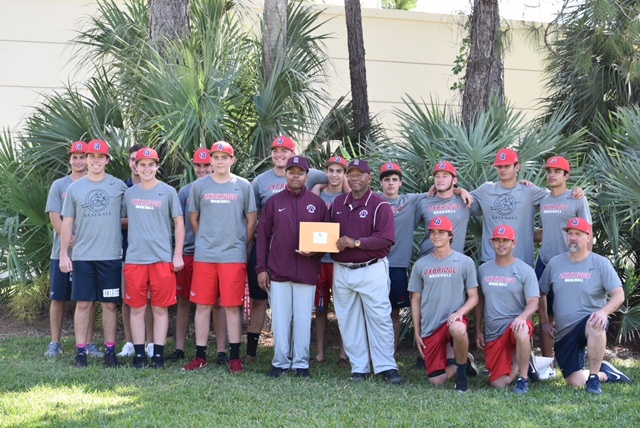 Powell, whose Palm Beach Lakes school is directly across the street from the new spring training home of the Washington Nationals and Houston Astros, was astounded by the level of generosity and spirit shown to his team by Salinas-Bentley and his Oxbridge teammates. To learn more, please visit www.ActionTeam.org.